This is going to be one of those names my mom will not be able to pronounce. My mom is straight out of Ireland and comes with a funny accent. Say Vergelegen in your most British accent and it sounds like an old Irish surname. It would be ver-gel-e-gen in case you’re looking for a laugh at my mom’s expense. Now we need to get her to say Vergenoegd….! Its Ferr-gge-noo-ggd – with a guttural ‘g’ in case you were wondering too! Vergenoegd means “satisfaction has been achieved” and is derived from the old language of the early Dutch settlers who established the farm. I send the whole day with Vergenoegd and we left with full satisfaction being achieved! Our first stop of the day was their wine blending experience! I thought this was going to be complicated and I was going to end up with a bottle of goodness knows what! However, they are really patient and super helpful and they walk you through the process with ease! Everyone starts with three base wines: Cabernet Sauvignon, Shiraz and Merlot. You swish, swirl and taste these wines and then pick a favourite. Your favourite of the three will be the base wine of your personal blend! Your base wine choice influences the varietals you try next! I chose Merlot and then got to try the Malbec and Cabernet Franc! 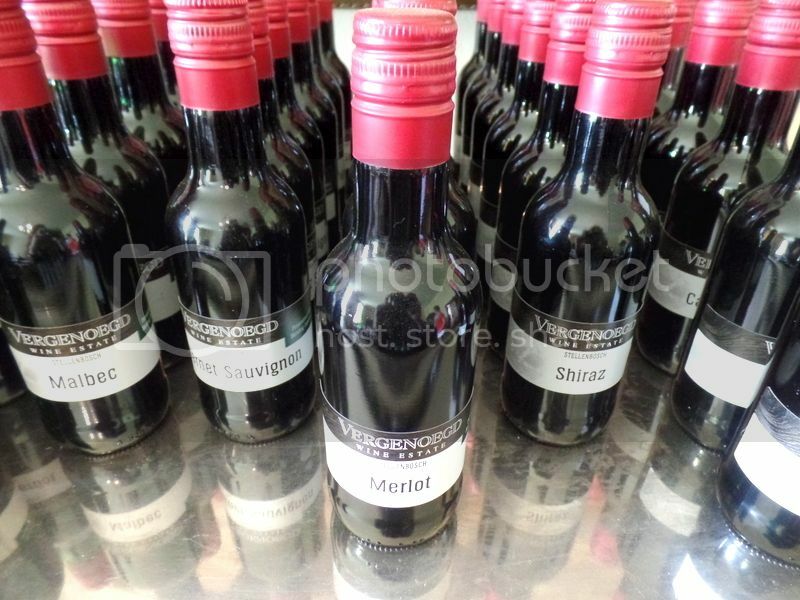 My final bottle was called ‘The Fat Duck’ and is made up of Merlot and Cabernet Franc! I now have my very own blended bottle of wine with my name on to enjoy at some point soon! I love this idea and think it makes for such a great memory of the day! It is a wonderful idea if you’re a tourist travelling and looking for a personal memento or if you’re a couple or family celebrating a special occasion! You pay for the wine blending experience and the bottle separately. So if you are a little more budget conscious you can still enjoy the experience without buying the bottle to take home! 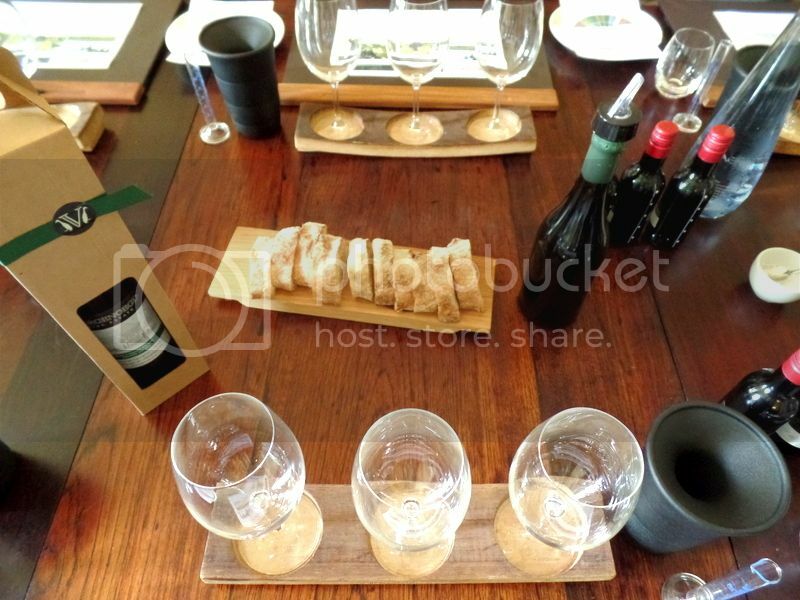 For the wine blending experience we were joined by another couple and their young daughter. I was a little worried thinking the child would get bored and distract from the experience! But Vergenoegd thinks of absolutely everything and they provided gorgeous little sugar cookies, mini piping bags filled with icing and assorted sprinkles for an impromptu cookie decorating activity! This is fantastic because it means couples with children can relax and enjoy themselves and other guests are not irritated by the small things! 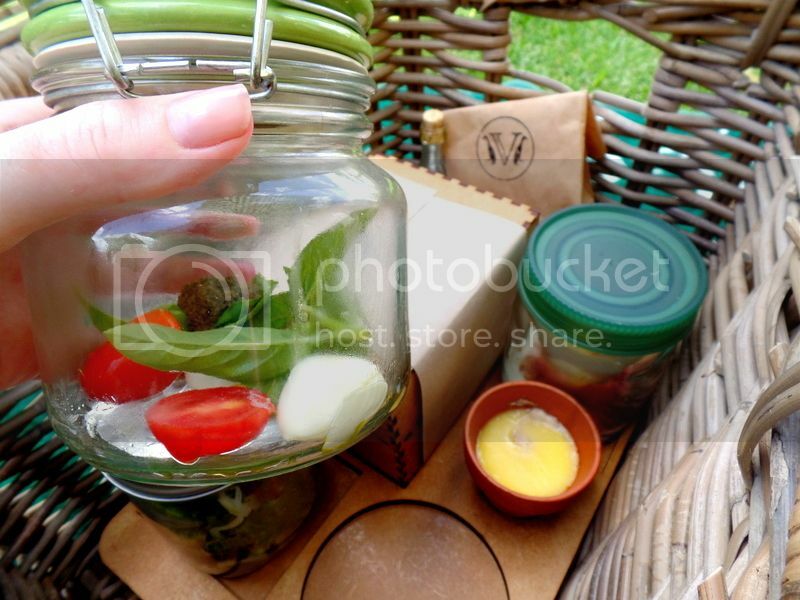 Vergenoegd must win points for being the most instagrammable picnic ever! 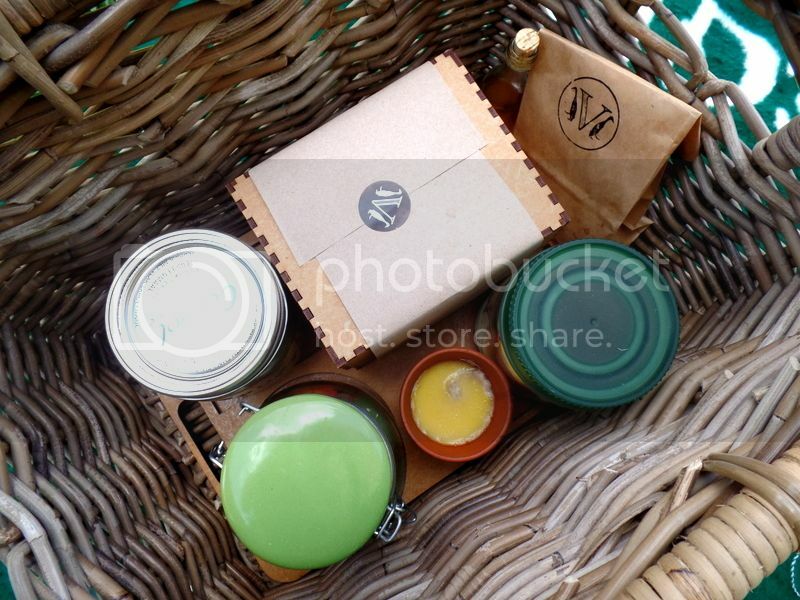 The gorgeous basket is staked in two layers with the boards having space cut out for each food item! The first layer held treats of hand made ciabatta, popcorn, crackers, brie, cheddar, salmon mouse, marinated olives, thyme and truffle butter, hummus and maldon salt! And that is just to get you started! The hand made ciabatta is incredible and we managed to eat the entire loaf before we realised! The picnic comes with sparkling or still water and one of their runner duck wines. 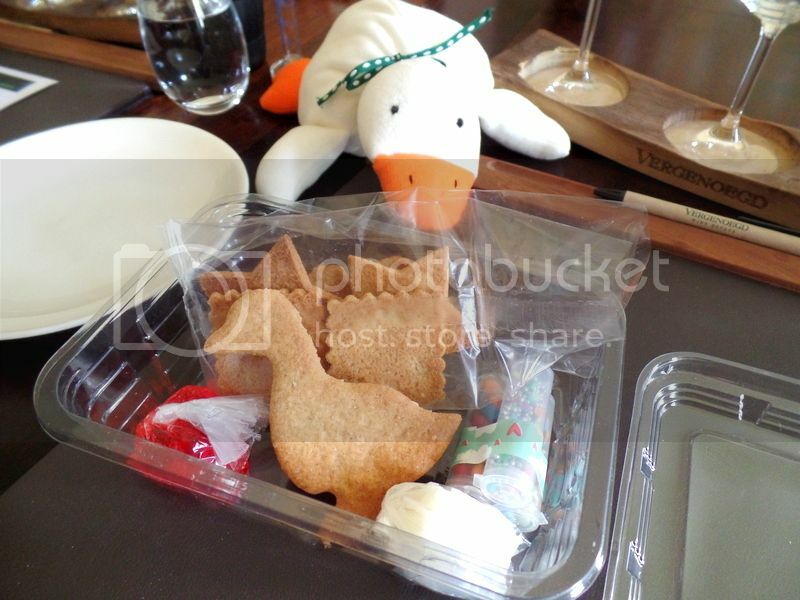 We opted for the white runner duck and it was fresh and light making it a perfect partner for our picnic feast! The second hidden layer held more substantial dishes! It included a green salad, duck rillet, caprese salad, olive oil and organic chicken breast with corn salsa tomatoes. The caprese salad was really amazing! The tomatoes and basil are from their garden just around the corner and the flavours were brilliant! I was also blown away by the incredible roasted chicken breast paired with Parma ham, sweet corn salsa and aioli. The combination of the salty parma ham, the sweet corn salsa and the tender chicken breast really knocked it out of the park for me! Dessert was dainty and delicious! 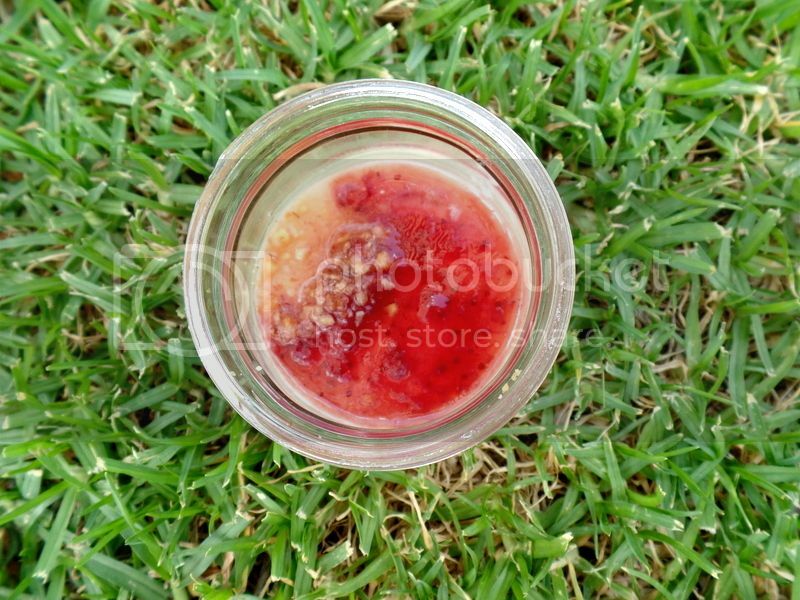 This delicate vanilla panna cotta with strawberyy and nut crumble was the perfect ending to a wonderful lunch! The picnic basket is packed with so much food that a lighter dessert is actually a great call! 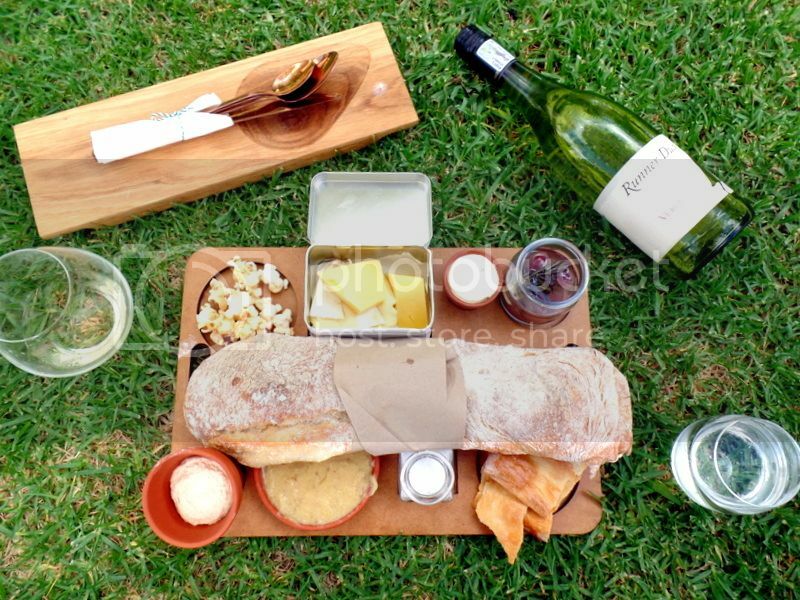 I love picnics and in my very honest opinion I am proud to dub Vergenoegd the very best picnic in the winelands! 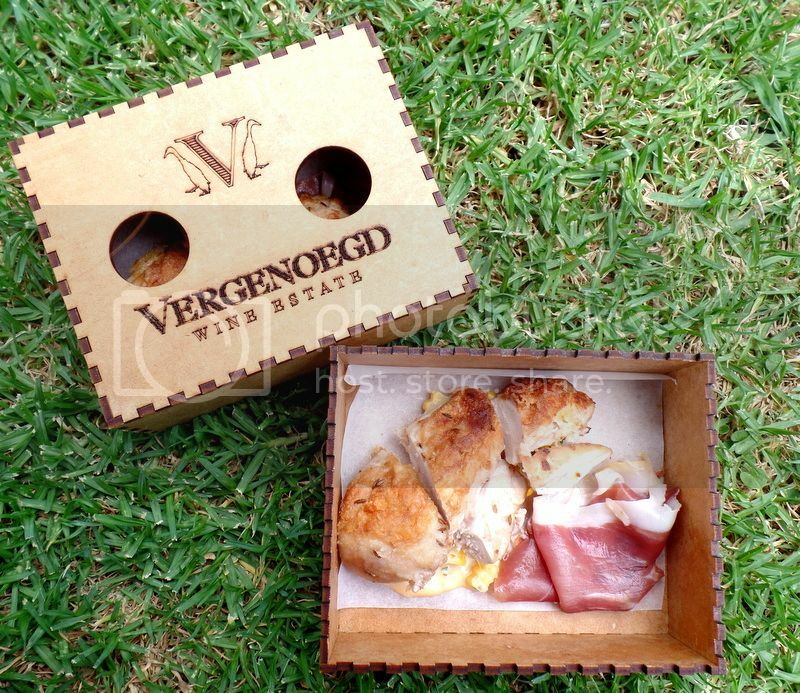 Granted, I have not tried all of the picnics on offer but Vergenoegd really stands out in comparison to all the picnics I have tried! Everywhere you look at Vergenoegd you will see homage to their gorgeous runner ducks! 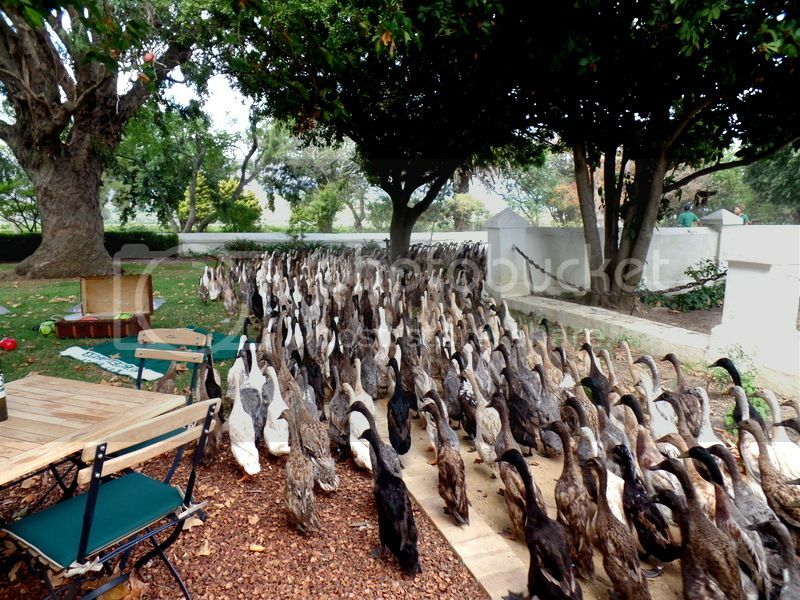 The ducks have the job of pest control and they take this very seriously. They spend the day out working in the fields! 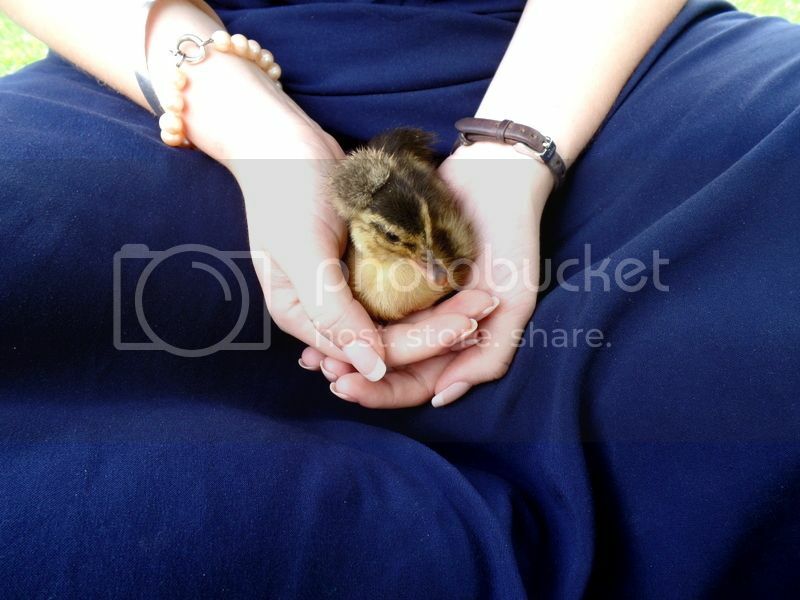 However the little ducks are still growing and training for their big job to come. I was so excited to steal a couple of cuddles with this stunning little fella with the coolest afro ever!! 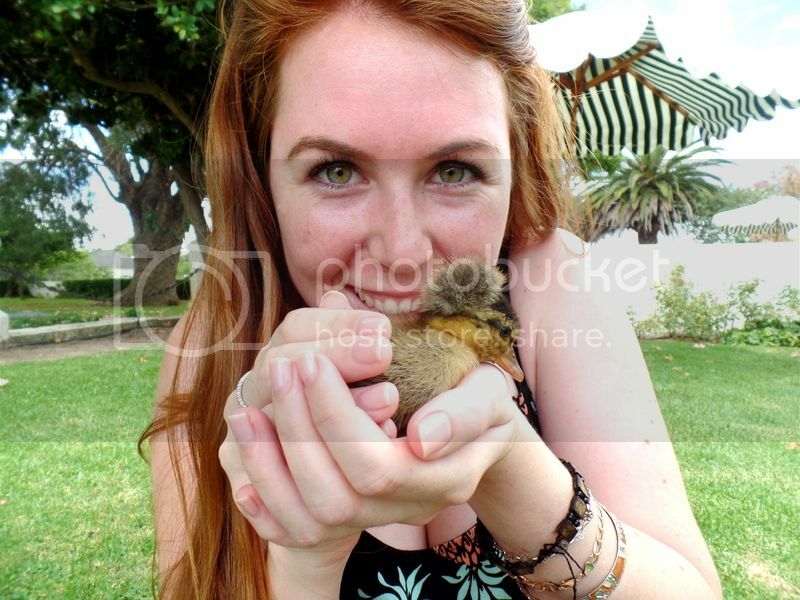 Our last Vergenoegd experience to see us home was The Duck Parade! You can see them marching out to work and racing home at 9:45 and 3:30pm every day! We loved watching the ducks heading home for the day after a hard days work! It really is something unique to Vergenoegd and I would highly recommend planning to watch the parade should you be heading through for a visit! And as the ducks went home so too did we! 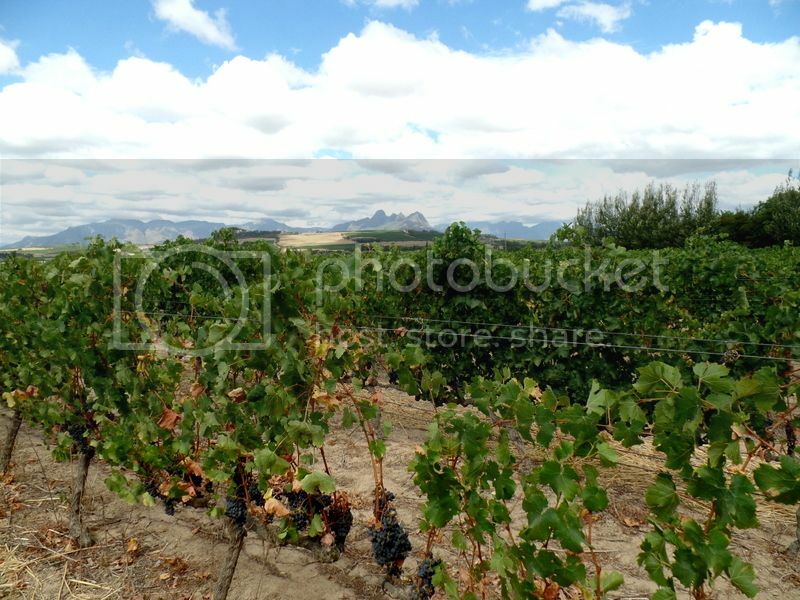 Disclaimer: We enjoyed our picnic and wine tasting experience as guests of Vergenoegd. 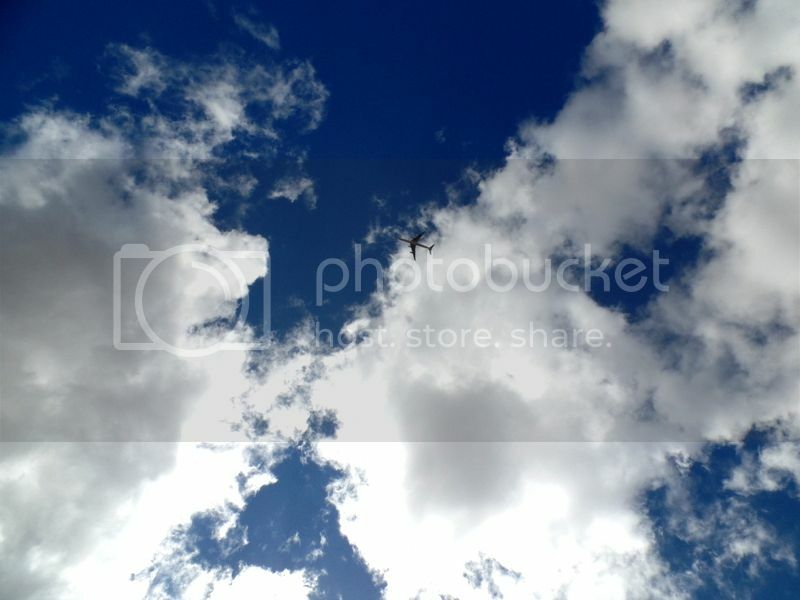 However, all images and opinions are my own.